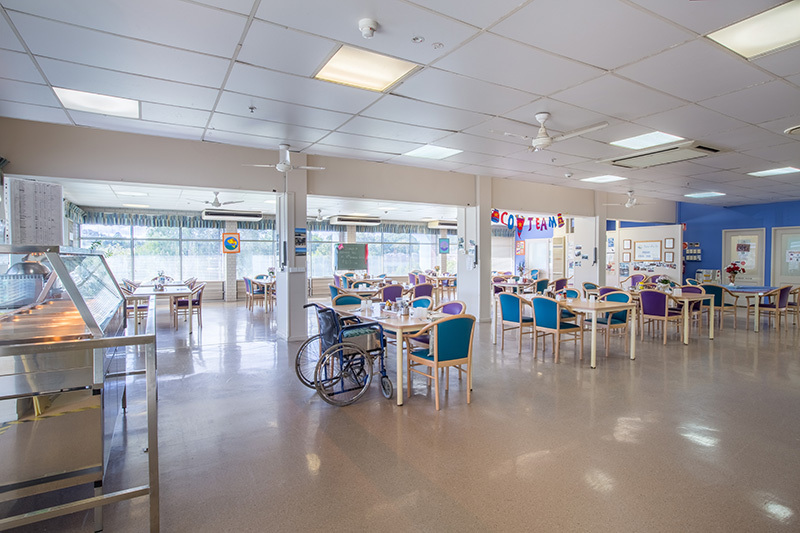 Welcome to McGowan Care Centre, a haven for elders to enjoy health and happiness during their precious time with us. McGowan offers 53 Queensland inspired rooms with wide verandas opening out to lush gardens, just moments from all Nambour’s services. Our focus is to ensure your comfort and needs are met while preserving individuality and independence. • 53 ground level ensuited single rooms. 5 provide for couples. • Modern regional architectural style in relaxing colours. • Rehabilitation centre on site with heated recovery pool. • Lush gardens with bird aviary, flat walking paths and benches. • Generous air-conditioned dining area with vast picture windows over site. • BBQ area and children’s playground for family visits. • Chapel with weekly services. • Well stocked library of large type books.